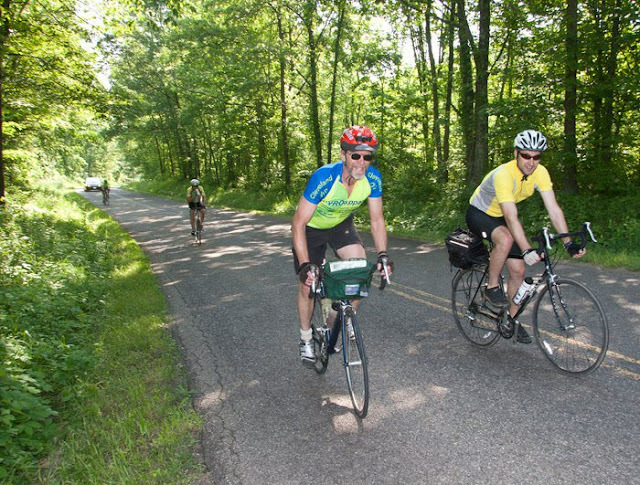 The Tour of the Hocking River Valley is a two-day bicycle tour on scenic, rolling, lightly traveled roads along the Hocking River. You will camp overnight Saturday after eating a delicious dinner, and return to Athens on Sunday. When: Saturday and Sunday, May 11 and 12, 2013, Depart at 9 a.m. Saturday. Where: Park and depart from the Walmart Parking lot on East State St in Athens, near the soccer fields. Route: 54 miles on Saturday and 44 miles on Sunday. Registration fee: $35, including a catered dinner Saturday night (vegetarian choices available) and breakfast on Sunday. The fee also includes camping at Lake Hope State Park, sag support, maps, etc. Children under 6 are free, children 6 to 12 and seniors 70 or older are $16. Bring: A tent, sleeping bag, clothes for riding and for camp. There is no electric service at the campsite, so bring a flashlight. Also bring plates, cups, eating utensils and a collapsible camp chair. A helmet is required for this ride. Ensure that your bike is in safe working order, and carry a spare tube and basic tools with you on the bike. You should carry full water bottles and enough food for a ride of this length. The sag vehicle will carry tents, food, and other equipment to and from the park. There will be limited space in the vehicle, so plan to be your own mechanic and remember to bring food with you on your bike. Please no private support vehicles on the route. Registration Deadline: Friday, May 3, 2012. Limited to 60 riders. To register, download the registration form via the Athens Bicycle Club Group page. If you are not already a member of that Group page, you will need to submit a request to join the Group before downloading the file. 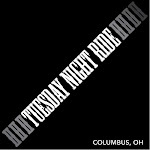 Or, if you do not wish to join that Group page, feel free to mail your applicable registration fee (see above) to Athens Bicycle Club, 11 Garfield Ave, Athens, OH 45701-1650. Please include your name, age, phone number, street address, city, state, ZIP and e-mail address with your registration fee. You will need to sign a waiver on the day of the event.